No matter when you go camping or picnicking, keeping yourself hydrated is a must. During the summer, you need enough water to keep yourself cool and avoid heat stroke while in the winter, you need to keep yourself warm and there is nothing simpler than having a hot drink. Take the feeling of being thirsty as the first sign of dehydration. More serious symptoms are headaches and dizziness. Different people have different needs for water but generally, you should drink about 15 to 20 ounces of water before doing any strenuous activities. Water purification tablets can be used to purify water in case you don’t bring enough water and have access to a natural water resource. You can get hungry easily after a day of walking and doing all sorts of outdoor exercise. Nothing is worse than having to eat spoiled food and end up on the toilet on night long. There are risks of developing infectious diseases too. Maintaining safe and healthy food is actually not very difficult. You need to keep raw food and cooked food separately. Remember to keep them in tight, waterproof bags or container; you can use an insulated cooler to maintain food quality. Thorough preparation is the key for an enjoyable trip. Before the trip, go through the list of essential items you need. You want to be well-prepared but also should avoid bring too much stuff. 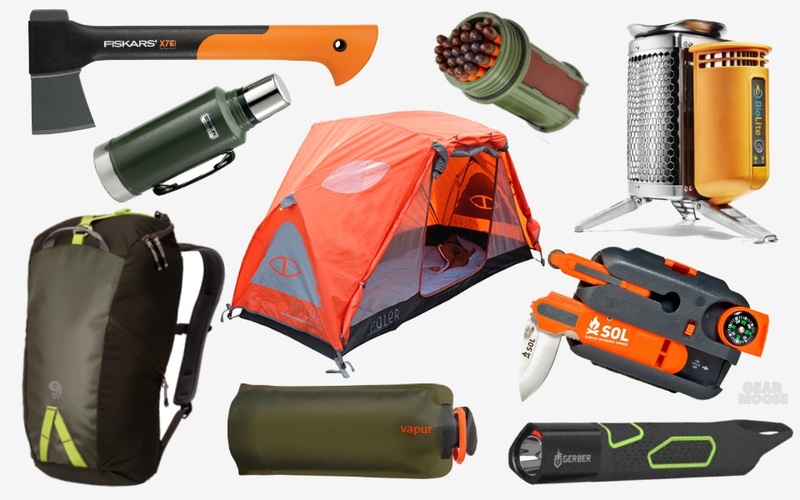 Check all the items to see if they operate well before packing: you don’t want to arrive at the camp site to find out there are missing accessories for your tent or the stove is broken. Some extra clothing, a spare blanket, flashlight and fire starters are recommended. A tent (or even a hammock) is an essential item to bring along in a camping trip. No matter how lightweight it can be that it may cause no serious harm when falling down, there are still common incidents related to it. For example: people normally trip over the guy ropes. Make sure you bring all necessary accessories for pitching a tent properly. Never obstruct the walkways with guy ropes and locate the tent pegs where it is not easy for people to tread over. Wild animals are cute or fascinating to look at but you should stop at that. Don’t try to touch or feed them in a close distance. They can display unpredictable behavior, especially when you walk into their territories or accidentally disrupt them while they are in the midst of some activities. They will mostly run away but you never know exactly what can happen. Look out for snakes and try to calmly and slowly move from them once you see them. Wild animals can get into the campsite for food so you should not keep food in the tent. Store them away safety and clear up the mess after cooking and eating. You can encounter various types of insects during your trip, including bees, wasp, and mosquitoes. They are not only annoying but can be harmful as well. You can apply insect repellent on your skin to avoid being bitten. Be on the outlook for bee nest hung from trees. Remember to include medicines to fight severe allergic reactions in your basic aid kit if you ever suffered from it before. Wearing sunglasses with shade and applying sunscreen are the two most common methods to fight against glare and UV rays. Getting sunburn of your vacation is no fun for sure and protection from UV ray should be done all year around. When going out under scorching heat, make sure you dress properly: cover yourself with clothing and a hat. If there are children on the trip, teach them to always stay within your sight. Give each child a whistle to stay in touch in case of emergency is advised. Make sure you bring at least one of their pictures to ask for help in case they get lost. Don’t let them come near the water source if they don’t know how to swim. When you are alone deep in forest and in trouble, you need some form of communication to ask for help. Always bring a charged cellphone with you (one with GPS is recommended), a map, a flashlight and some matches. It is best that you don’t go camping alone. At least, you should always let someone know where you are so that they can track you down when necessary. In case of lightning storm, stay away from the tent, tall tree and water. Try to get into a vehicle or seek an open field instead. To avoid risk of fire, you should do the cooking outside the tent and handle gas canisters or camping stove with care. Always turn these devices off when not in use, avoid leakage or spillage. Completely extinguish fire and never leave it unattended. Never start a fire near flammable items.